It’s not officially winter yet, so you can still sneak in with some of those important fall tasks for your home. It’s easier in the Orlando area to get these jobs done, since we don’t have harsh winter conditions to deal with. One home service job we highly recommend this time of year is drain cleaning in Orlando, FL. The reasons don’t have much to do with the weather, but with what happens in your home during the end of the year. The Season for Grease and Company! We often mention this when talking about the drain and sewer systems for homes and businesses. (Yes, we’re a commercial plumbing contractor as well.) The biggest common danger for drains is an accumulation of fats, oils, and grease, collectively known by the sinister acronym FOG. These cooking liquids look innocuous when they’re hot—because that’s when they’re in liquid form. But you know that if you leave a grease-covered pan in the sink, you’ll have a waxy and sticky residue stuck all over it later, and it’s hard to clean. This is what you don’t want down in your drains! We recommend pouring all FOG into a container which you then remove to the outside trash cans. For extra cleanliness, you can place the container into the freezer, then easily dispose of the FOG once it’s frozen solid. No matter how many precautions you take against FOG going into your drains, it will still slip down there. The end of the year, when you’re hosting more guests and doing more cooking in the kitchen is when the drains are at the highest risk of FOG accumulation. Now that it’s after Thanksgiving, you may have serious buildup in your drains, and that can mean trouble ahead during December and the New Year. This is where drain cleaning comes to the rescue. Having professionals scour your drains with the finest in hydro-jetting equipment is like hitting the “reset” button. You eliminate buildup and make it harder for the buildup to restart the rest of the year. Your bathrooms experience more traffic from guests during the festive season at the end of the year. This can mean plenty of soap scum and hair going down the drains. The obstinate materials are the villain equivalents of FOG when it comes to the bathroom plumbing. Professional drain cleaning will clear out these tough materials that can turn simple showering and washing into minor calamities over the holidays. 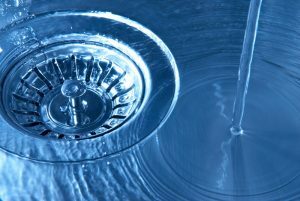 Drain Cleaning—A Good Idea Almost Any Time! We advise our customers to have drain cleaning done as a preventive service at least once a year. There’s no bad time to arrange to have our plumbers do the work. But if you haven’t had it done yet this year, fall is one of the best times to schedule it. A clean-up after Thanksgiving, and a prep for the other holidays to come. Plus, a great start to the next year! Modern Plumbing Industries, Inc. has proudly served Central Florida since 1975. Arrange for your drain cleaning—any time of the year—with us.